Also known as grease bumps, milk spots are the little white bumps we sometimes get below the eyes, around the nose, neck or in the lining between our hair and forehead. They are nothing to be alarmed of as they are simply caused by Keratin getting stuck under the skin. 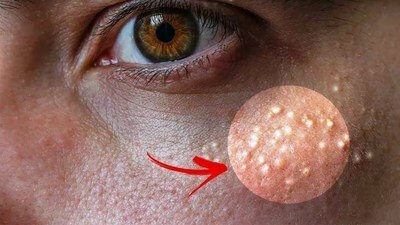 The scientific term for this is Milia, and they usually only last a few months. Even though they have a short life span, they are still something we do not want on our face, at all. 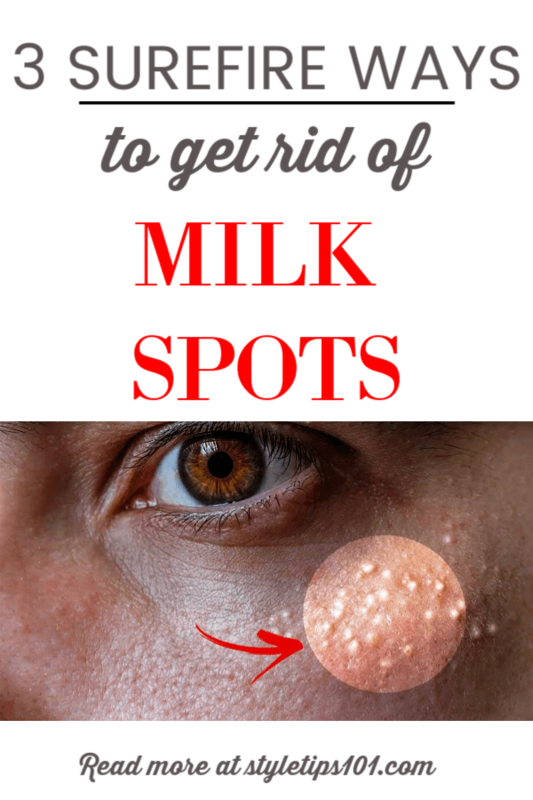 Today we will explore 3 different ways to get rid of milk spots, also known as grease bumps! For the first option, you will need one tablespoon of ground oatmeal with water to make a paste. Once you have your paste, massage into the desired area and let it sit for about 10 min. Oatmeal works wonders at exfoliating and reduces redness and inflammation. milk spots, you can cleanse your face with your favorite soap and scrub immeditely after the seam. For this method, cut a small, ripe tomato in half and sprinkle some sugar or coffee grounds on the slice. (This will give it an exfoliating property.) Massage the slice on your face for about 15 minutes. The tomato juice will go deep into your pores and flush out any bacteria or impurities with its acidic properties. Do each (just one) every other day for about a week or 2. Remember to not try to pop or squeeze them as this will only irritate the skin. Be sure to always thoroughly wash your face to remove excess dirt and make up and you should be grease bump free in no time.